Marketing is one of the essential aspects when it comes to the success of your E-commerce website. However, more than marketing, it is the design of your website, that can help it scale heights. Remember those days when web design looked beautiful on your computer, but the moment you changed the browser or a different resolution PC, the website lost all its charm? Not only is the look and feel of your website important, but also the user-friendliness. Over the years, lots of modifications have been incorporated into web design so that the website adapts itself to the system it is loaded on. And with people getting more tech savvy and mobile friendly it is imperative that your E-commerce website too is responsive. In this post, we’ll be covering the advantages of a mobile-friendly website as well as learn how to create a mobile-friendly E-commerce website for your online business. With a majority of the consumers switching to mobile devices to access websites for their purchases, having a responsive website improves the accessibility of your online business to the consumer. This, in turn, helps your business grow even in monetary terms. Suppose your website is heavy, with a lot of images and other dynamic content, it would load fine on a desktop/laptop browser. However, the same website when loaded on a mobile device might take more time to load. This can prove fatal to your online business as you might lose potential customers. Having a mobile optimised website, helps your pages load faster thus, reducing the risk of losing a customer. With so many businesses coming up each day, the competition to stay on top is more important than ever. A mobile-friendly website helps you build your brand identity, making you stand out. Both with the customer and on the SEO search engines. The improved brand image gives you more traffic as well as boosts your ranking in mobile rank engines. Now that we’ve seen the advantages of having a mobile-friendly e-commerce website. The next question that arises is, what to build it using? One of the simplest ways of creating a mobile-friendly website is by using Impress.ly. Impress.ly allows you to create dynamic and professional looking websites for not only smartphones but also tablets and desktops. You can read our detailed post, on why to choose Impress.ly and its features here. 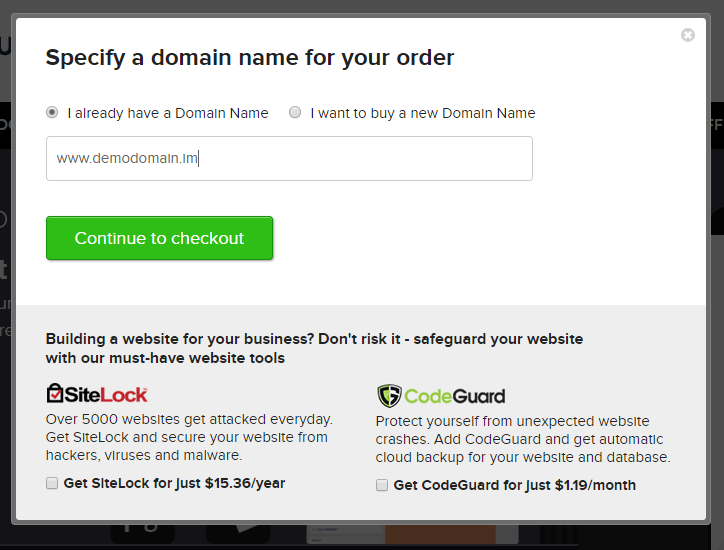 Purchase Impress.ly for the Domain Name you wish to install it on. Go to your Resellerclub account, go to the Order section and type the Domain Name on which Impress.ly is installed. Select the order from the drop down menu and click on Search. Next, click on the Manage Website in your dashboard to get logged into you Impress.ly interface. Once you’ve done the initial setup, the next step is to add content to your Impress.ly website. Although the placeholders are placed by default, you can edit the content and placement according to your wish. Should you wish to add more content, click on ‘Add more Content’ button. A page pops up asking you what type of content do you wish to add. Select the block you wish to add. 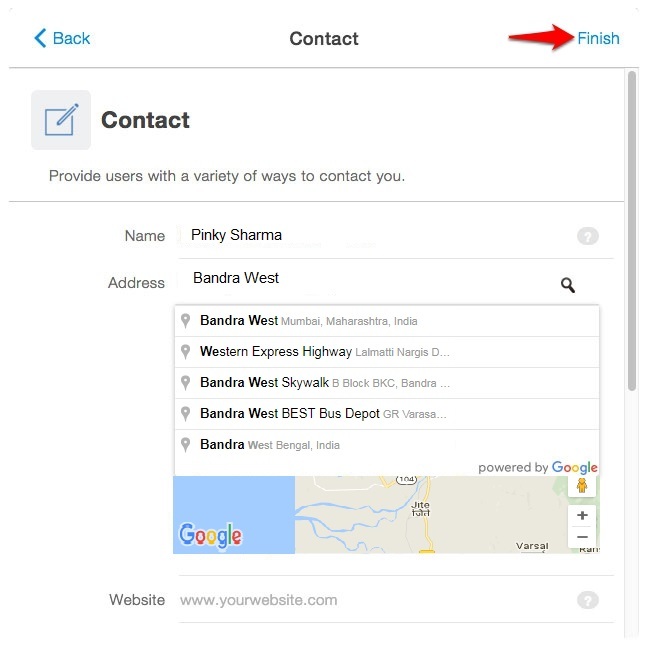 Suppose you select the Contact block, click on it, fill the data and click on Finish. 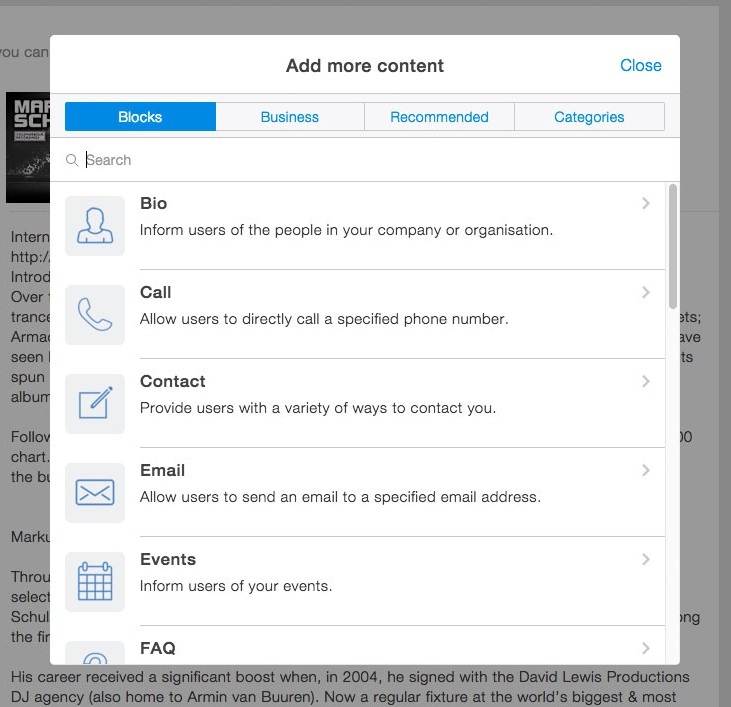 Your new block is added, you can repeat this step to add your desired content to your website. 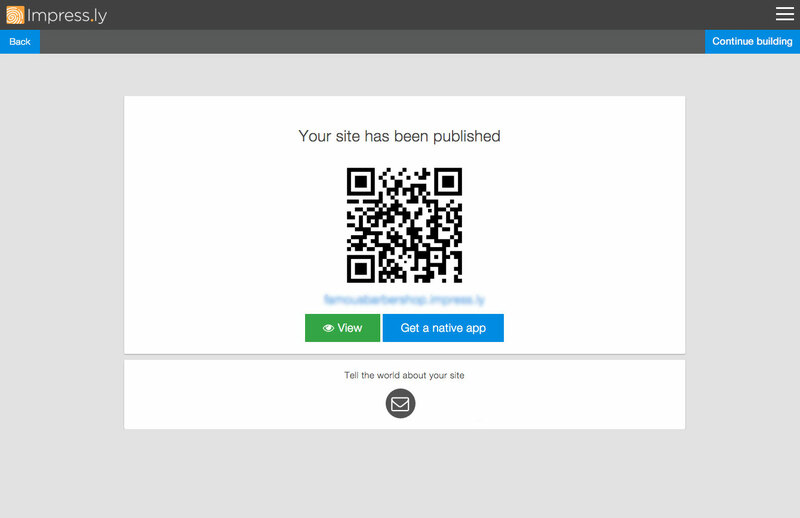 Now that you’re done designing, you are ready to publish your website. Before publishing it is always a good option to preview how your website will look like to your customer. One of the features of Impress.ly is the ability to preview your website on different devices, this helps you make changes smoothly, if any. After you’re done previewing click on Edit if any changes are to be made. Once you’re back in the editing panel, click on the Publish button at the top. You can still make changes to your website even after being published. Since yours is an e-commerce website it is understood that there will be a store where customers can purchase stuff online. 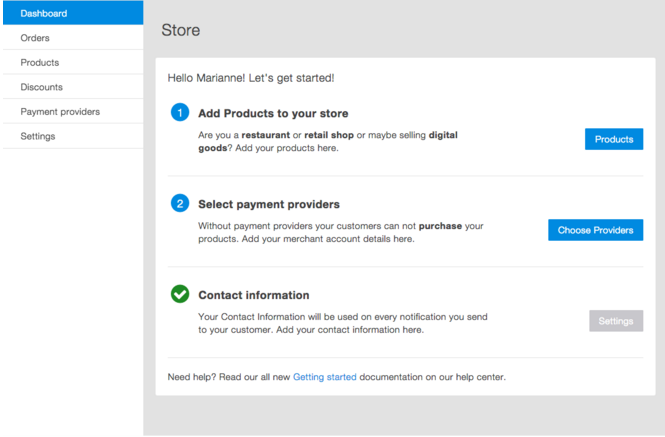 For that purpose, Impress.ly offers you a feature for adding your store. Follow the below steps to add a store to your website. There are three important things that are taken care of Adding a Store, selecting the payment provider and providing necessary details. Once you click on this, your store is filled with demo data. 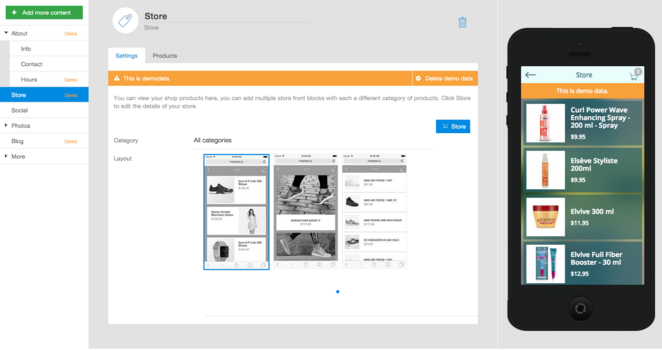 It is best to test your store with demo data and then, later on, add your own items. Dashboard: Gives an overall overview of your Store. 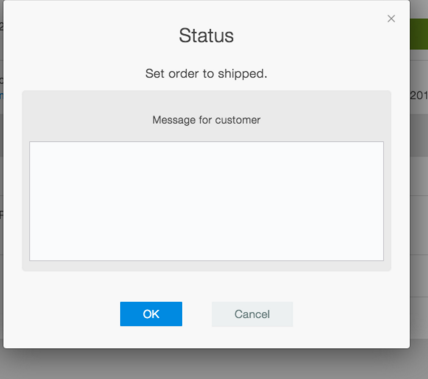 Orders: Gives details about all the orders that are placed by your Customers. 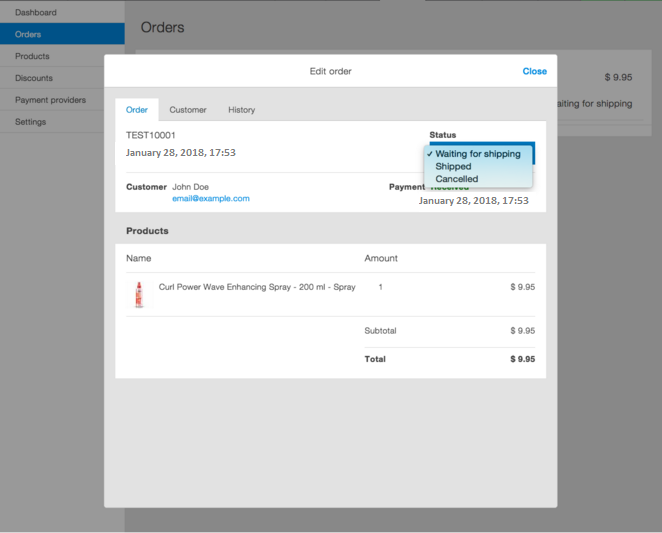 Products: Lists all the Products in your Store, and allows editing. Discounts: Sets up Discounts should you wish to give them to your customers. Payment Providers: Helps to set up different payment providers you wish to for your Store. Settings: Deals with the overall settings of your store. Your Store has been added to your E-commerce website successfully. And your mobile friendly responsive website with an e-commerce store is ready for the world. Now all you need to do is manage your business in a hassle-free manner. Have you used Impress.ly before or a willing to try out? If yes, now is the time, make your website today and feel free to leave your comments of your experience in the comments section below.